I have been a huge Volkswagen fan since I bought my very first car in 2001. A Silver 4 door VW Polo. I thought it was the best thing ever and was devestated when I had to sell it a few years later to fund my overseas adventure. 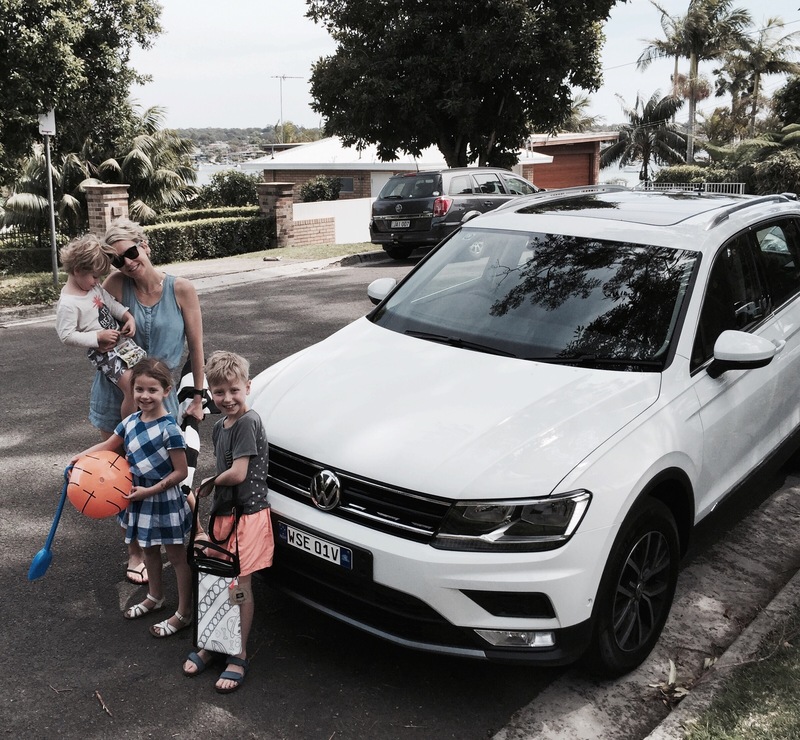 On returning I purchased a blue 2 door VW Polo and again cruised the streets of Sydney without a care in the world! Just me and the blue beast! In 2008 I fell pregnant and upgraded to a white VW Golf which was a super comfy and reliable car and carried around my first born! I guess you can say I am a VW girl at heart! Fast forward 8 years and Of course when asked to test drive the New VW Tiguan I jumped at the opportunity! 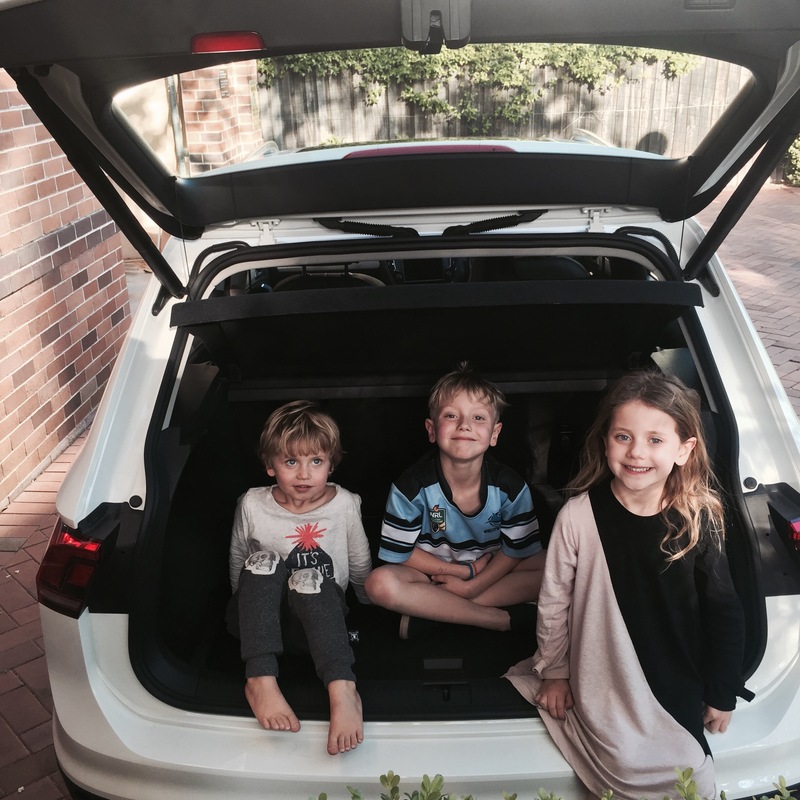 I’ve been driving the Tiguan Comfortline with optional luxury package, and it really was easy to forget I was driving a family car… it has so many luxuries! Leather seats, roomy boot, electric Windows, keyless access, panoramic electric sunroof and damn nice to look at! and drive!! The cruise was super comfy. A quiet engine, slick feel and all the latest safety features as well as plenty of room for the kids! I may have shed a tear dropping Tiggy back (the kids named the Tiguan), however, we are currently in the market for a new car so this may only be see you later, not goodbye! < Previous Sculptures by the Sea…First class!